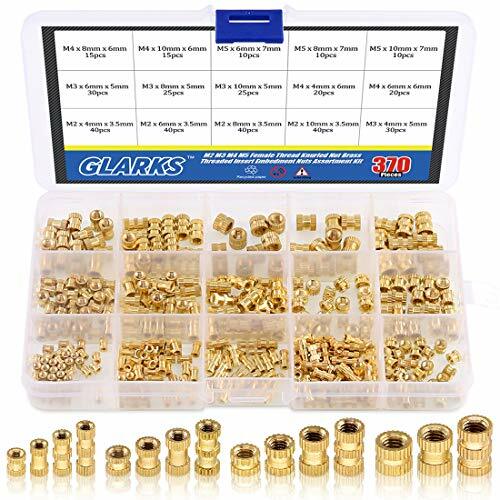 Glarks 370Pcs M2 M3 M4 M5 Knurled Brass Threaded Heat Set Insert Embedment Nut Assortment Kit Product specification: Product: Knurled brass threaded insert nut assortment kit Nut type: Knurled nut Material: Brass Color: Brass Tone Inner diameter: 2mm, 3mm, 4mm and 5mm Outer diameter: 3.5mm, 5mm, 6mm and 7mm Hight: 4mm, 6mm, 8mm, 10mm Application: Heat resistant, great for 3d printing Product Feature: Premium brass material, heat resistant, wear-resistant, acid-resistant rust-proof, anti-corrosive and non-toxic, high hardness for long time use. No need to counterbore or countersink the boss hole since the insert has guide pilot. Can be installed by ultrasonic or heat into thread tapered hole, or molded in during injection. 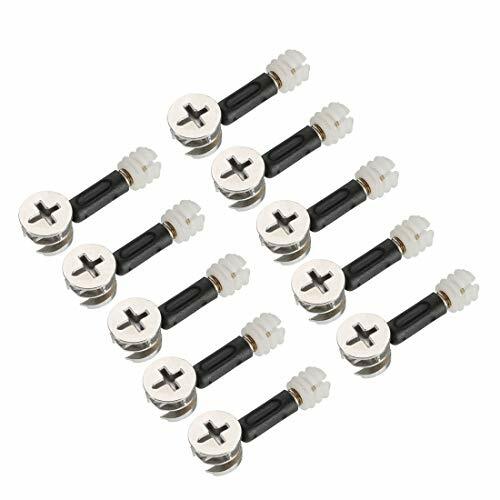 Package include: M2 x 4mm x 3.5mm ----- 40pcs M2 x 6mm x 3.5mm ----- 40pcs M2 x 8mm x 3.5mm ----- 40pcs M2 x 10mm x 3.5mm --- 40pcs M3 x 4mm x 5mm -------- 30pcs M3 x 6mm x 5mm -------- 30pcs M3 x 8mm x 5mm -------- 25pcs M3 x 10mm x 5mm ------ 25pcs M4 x 4mm x 6mm -------- 20pcs M4 x 6mm x 6mm -------- 20pcs M4 x 8mm x 6mm -------- 15pcs M4 x 10mm x 6mm ------ 15pcs M5 x 6mm x 7mm -------- 10pcs M5 x 8mm x 7mm -------- 10pcs M5 x 10mm x 7mm ------ 10pcs Total Quantity: 370Pcs Note: Please check the specific size according to the second picture. The products are manual measurement and there may be 1-3mm errors. Please don't mind. Please contact us if you have any questions, we will reply you within 12 hours. 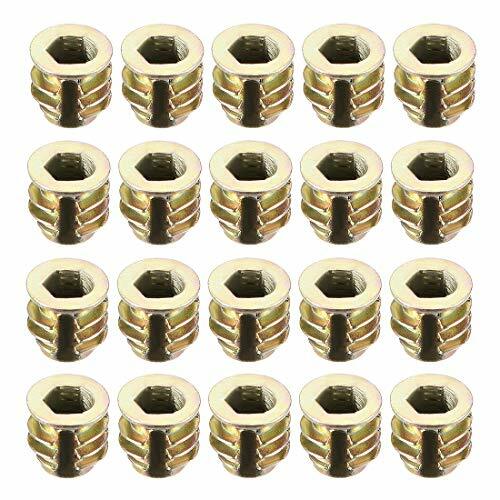 Product Type: High quality knurled thread inserts nuts assortment kit. 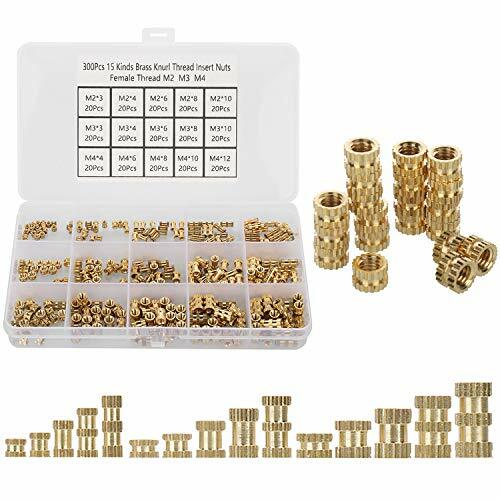 Package Detail: In this set, it include 15 kinds of m2, m3, m4, m5 knurl thread inserts nuts total 370pcs which are well packed in a plastic box. 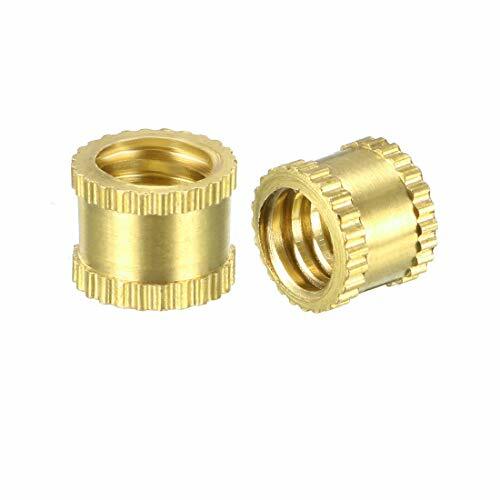 Product Material: All the nuts are made of premium brass, which has high hardness, no deformation, durable and reliable for long time use. Easy to install: Since the insert has a conduction valve, there is no need to back-drill and counter-sink the hole. Product Feature: Widely used on the injection moulding for tightly fixing; can be installed by ultrasonic or heat into thread tapered hole, or molded in during injection. An assortment of wall hooks, friction wrenches, and jack nuts from The Hillman Group. 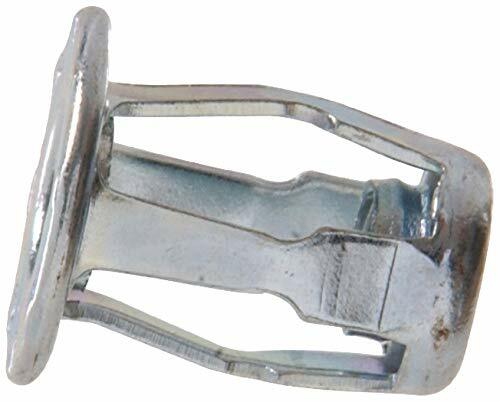 Jack nuts are blind fasteners designed for assembly line use in thin, soft, or brittle materials. When tightened, the body collapses to form legs which grip the inside of the mounting surface, leaving a permanent, reusable threaded insert. 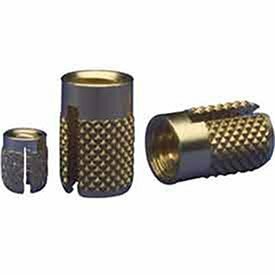 Variants included in this assortment range from #6-32 to 1/4"-20 in coarse thread size. Full assortment contains six (6) refills comprised of Hillman item numbers #59121, #59122, #59124, #59126, #59127, and #59129. Features These Knurl Thread Insert Nut can be widely used on the injection moulding for tightly fixing. Can be installed by ultrasonic or heat into thread tapered hole, or molded in during injection. No need to counterbore or countersink the boss hole since the insert has guide pilot. The material of this part is brass and it can resist heat. Package Quantity: 300pcs This set is organized by size in a transparent storage case for quick access and protection. 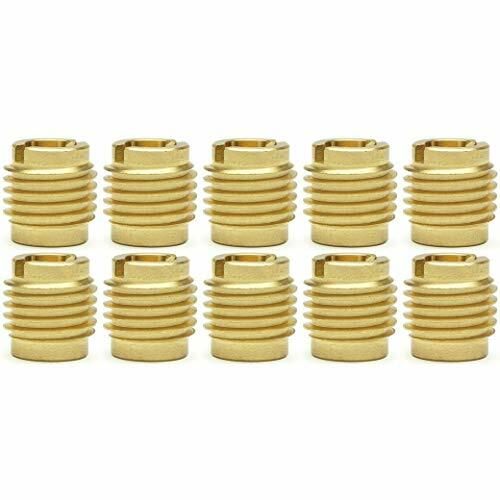 15mm OD Cam Fittings, 6mm Thread Dia 35mm Total Length Dowel, 10.7mm OD Nut. 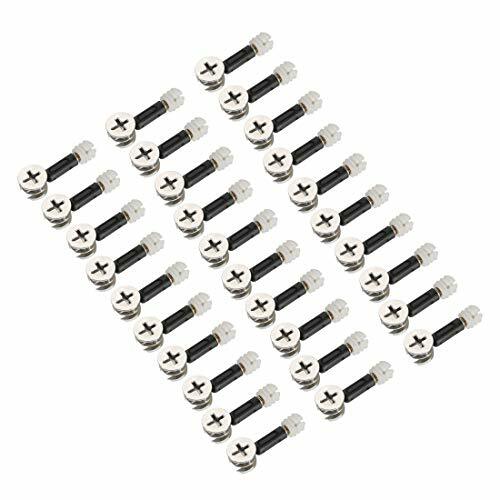 Each Set Includes 1 Cam Fitting, 1 Dowel and 1 Pre-inserted Nut. Function: Joint shelf together, have good fastening strength. 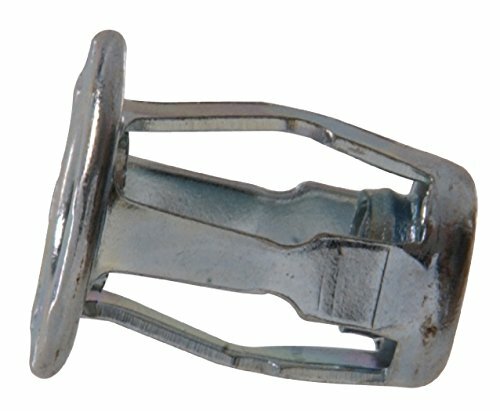 The Jack Nut threaded insert is an economical blind fastener designed for assembly-line use in thin, soft or brittle materials. When tightened, the body collapses to form legs which grip the inside of the mounting surface, leaving a permanent, reusable threaded insert. 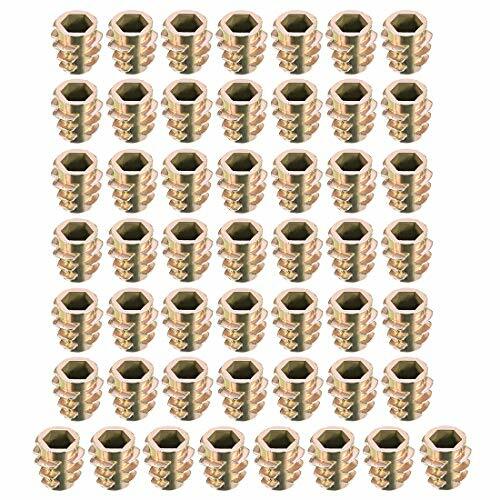 Made of brass material, good thermal conductivity and heat resistance. Widely Used On the Injection Moulding for Tightly Fixing. 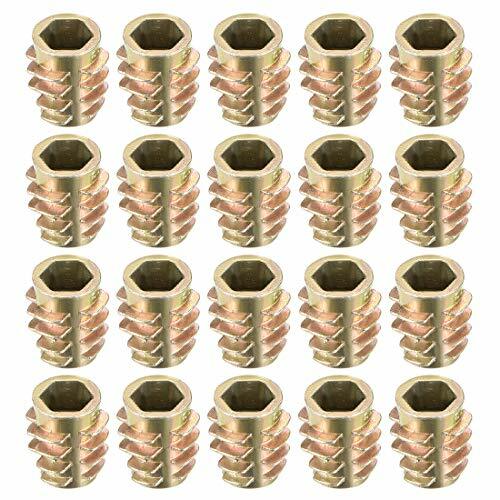 Package Content: 15 x Knurl Thread Inserts. 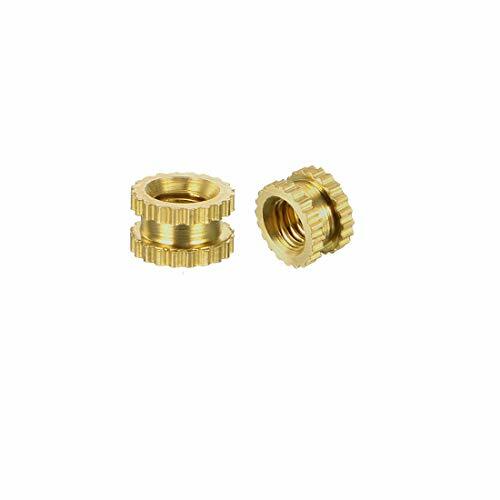 M4-0.7 x .313" long Brass thread insert, press-in installation in thermoset plastics. Package Content: 100(+/-2%) x Knurl Thread Inserts. Package Content: 10 x Knurl Thread Inserts. 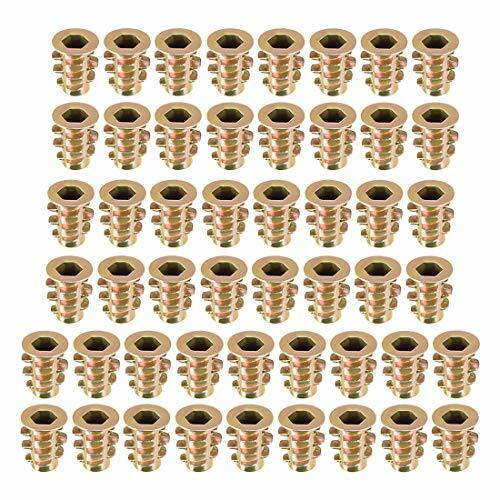 6mm Dia Thread 35mm Total Length Plastic Covered Bolts Screws. 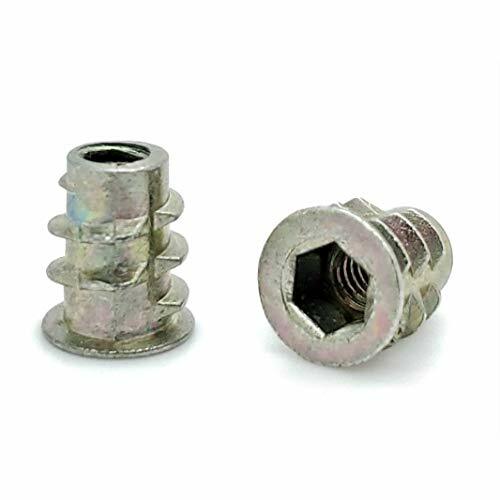 These Cross head connecting fitting screws are great accessory for furniture. WIDE APPLICATION:Widely applicable for mechanical devices, clamps, molds, automatic machines, etc. 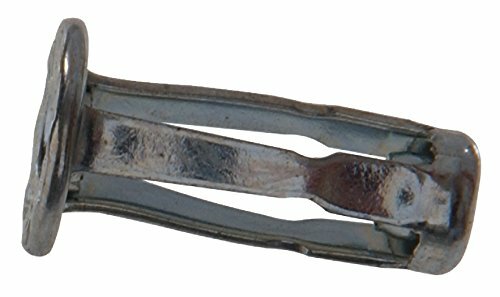 MATERIAL:Made of 304 stainless steel material, which can provides strength and offers good corrosion resistance in many circumstances. EASILY USED:Easy to install and convenient to use, simply press it in for fastening. 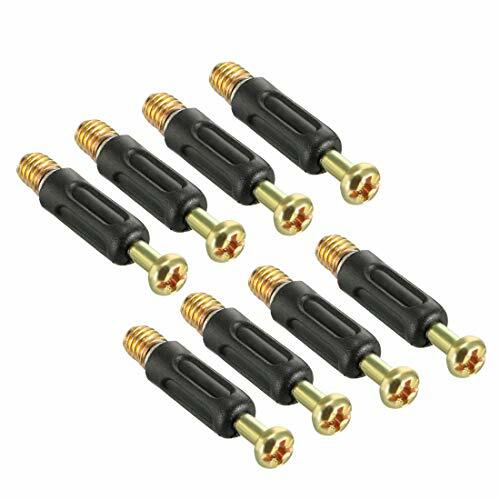 MAIN FUNCTION:They are great parts for providing pressure and accurate positioning. 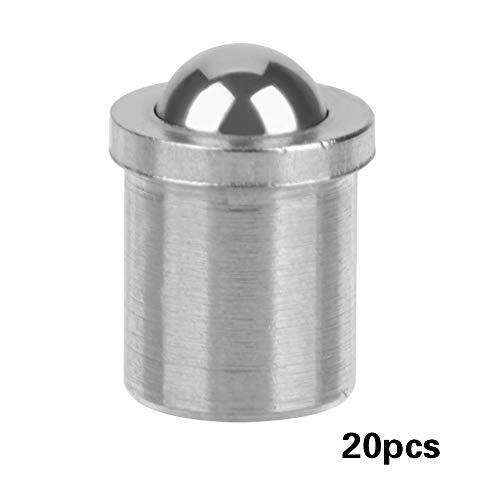 CONVENIENCE:There are total 20 pieces of ball plungers in one set that you may use for many projects.